1. 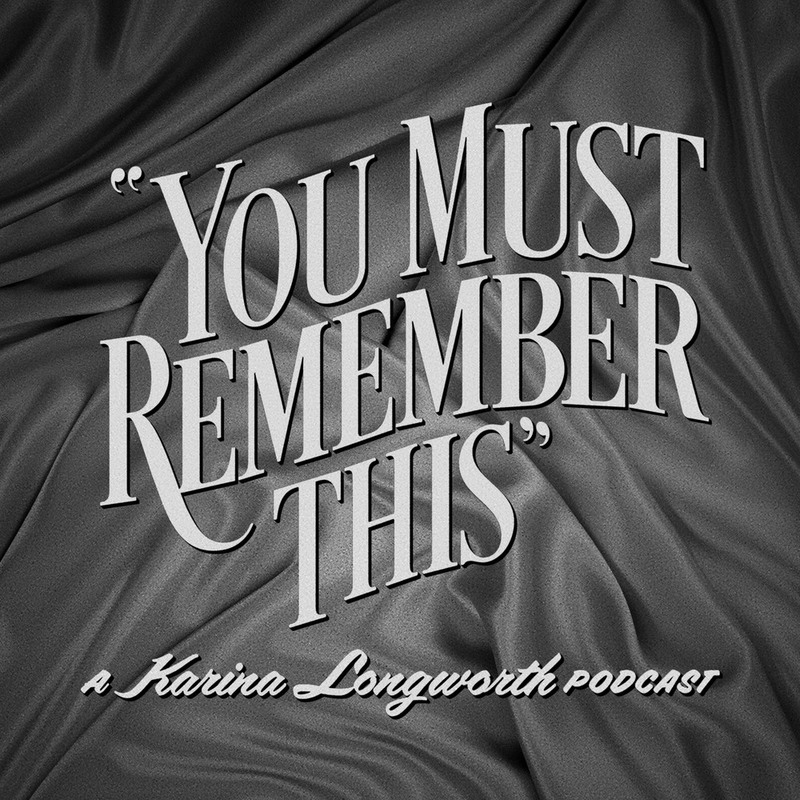 You Must Remember This Podcast - Thanks to Leanna at Daisy Chain Book Reviews, I have now found my next favorite podcast. I love all things Old Hollywood, so I have been thoroughly enjoying this foray into the past. 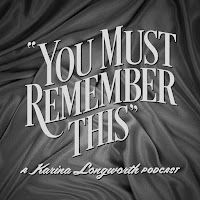 So far I have listened to the ones about Howard Hughes, who I am very interested in, especially when it comes to Katherine Hepburn, and I am currently listening to the ones about Joan Crawford. This is especially fun since I am watching Feud as well. Anyone else a fan of this fantastic podcast? 2. Big Little Lies on HBO - Big Little Lies is such a great read and I am so glad I found time to read it this year before watching the show. The show doesn't disappoint. There are some major differences between the book and the show, but I haven't been bothered by it too much. It think they are doing the book justice and I especially love the new setting of Monterey, California instead of Australia. Reese Witherspoon's acting is fantastic as well. Also, I spend a lot of the TV show drooling over the ah-may-zing homes. Are you watching too? 3. 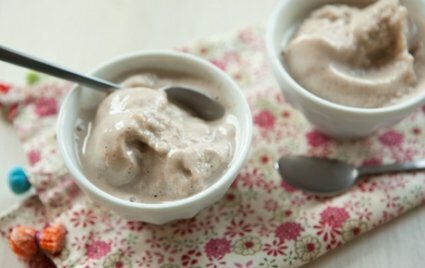 Banana Nice Cream - I have had to cut back on dairy since I had my surgeries. Unfortunately dairy doesn't always agree with me, especially ice cream or anything with heavy cream in it. Since then, I have been addicted to making Banana Nice Cream. It's sooo good; plus, it's very healthy. You can add your own toppings and change up the flavors too. Check out the recipe here. 4. A Peter Rabbit Birthday - Guys, somehow my little one will be one next month! Cue all the tears. I have planned a special literary themed birthday party that is so, so cute. 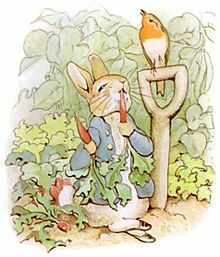 It's a Beatrix Potter's Peter Rabbit birthday since his birthday is three days after Easter. I have always adored Peter Rabbit and he has some Peter Rabbit books and clothes that are so cute, so I thought why not? I better take control before he is old enough to decide he wants a monster truck birthday or dinosaur. themed party, Anyone else a Beatrix Potter fan? I have been seeing Peter Rabbit everywhere lately! 5. 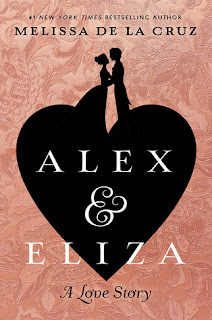 Alex & Eliza Giveaway - Thanks to Putnam, I have an extra hardcover copy of Alex and Eliza by Melissa de la Cruz to give away to one lucky US reader. It comes out April 11th and it's all about the love story of young Alexander Hamilton and Eliza Schuyler. All of you Hamilton fans will enjoy it! Please refer to my giveaway rules. The deadline to enter is April 8th. Good luck! 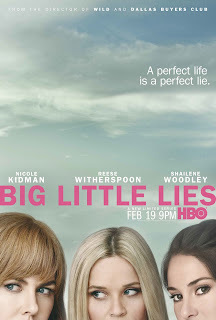 I enjoyed the first episode of Big Little Lies and plan to catch up with it this summer when I get HBO back for Game of Thrones. 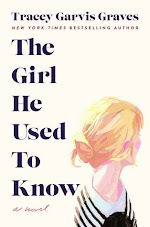 I thought the book was excellent. Glad to hear the show is really good even with the changes. I can't believe your little one is turning one year old already! I love the idea of a Peter Rabbit birthday party. I loved that book as a kid and the illustrations are so cute. She was very talented. I think you'll like the show, Christina. It's a lot of fun and Reese is great in it. I didn't know you were lactose intolerant. I should ask you for a few recipes as this is all new to me. I am loving the Banana Nice Cream though. I can't believe my little guy is one soon. It's crazy how quickly this year went by. Thanks for visiting, Christina, and I hope you have a nice weekend! I haven't seen the HBO production of Big Little Lies. I'm looking forward to it, though. How many episodes are out now? I'm saving till I can binge-watch the entire thing. Lol. I think the final episode is this Sunday! It was only a mini-series, although I could have gone for longer series. It's really good! You could definitely binge-watch it. Thank you so much for the kind thoughts regarding my boys. :) That's so kind of you to say! :) I can't believe my littlest is going to be one soon. I am in total denial. 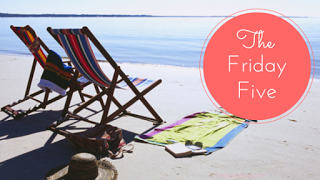 Have a great weekend, Joy! omg! I love the theme for your little's one birthday. Perfect for April and it's just a really cute one. I've been seeing Peter Rabbit around a lot too lately so even better! So random - but I'm selling for Usborne Books and More and they have great books/activities for little ones on up! Would you be interested in checking out the books, or having a Facebook party (super easy to set up and you don't have to do much) to earn free books for your little one? Again, just throwing it out there! No pressure. Thanks! I am excited for the Peter Rabbit birthday as well. That's good to know you sell Usborne books. I will definitely let you know if I decide to have a Facebook party. My sons LOVE their books. I just bought a few this past Christmas, so I am good for now, but will definitely let you know. 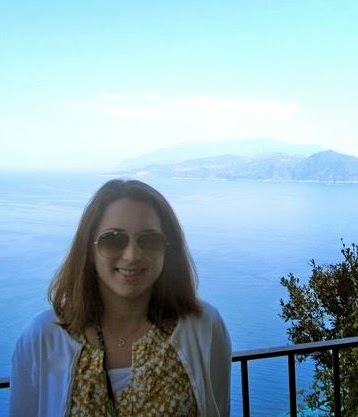 Thanks for visiting, Lauren!